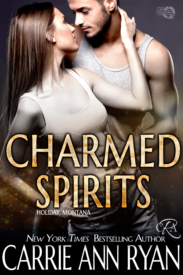 Take a peek into the enchanting and magical world of the Bestselling Holiday, Montana series. 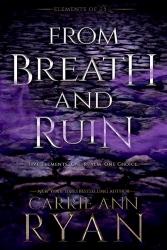 After years away, Jordan is back in town and ready to face her past—and her ex. Matt watched her walk away, knowing he was missing out on the best part of his life. But when she walked away, he was forced to face his own mortality. Now as the two learn each other once more, they’ll have to learn what it means to forgive…and what they’ve hidden all this time. Justin made a promise when he was young and reckless and now he has to face the consequences. Rina knows she doesn’t fit in with her family and the life that was made for her. Together under the mistletoe these two just might find what they’ve looked for all along…that is if they can survive the blast of winter on the way. Abby fell in love with Tyler when she was just a little girl. Of course it would be nice if the bad boy Cooper turned town Sheriff would actually notice her. But when fate aligns and Tyler is finally able to see Abby for who she is, things aren’t always as they seem and they’ll have to work together to have the happy ending they’ve always wanted. Brayden watched Allison fall in love and fall apart. Now she’s a mother of three kids and still in his heart. After a close call, the two can finally find a way to be with one another—that is if they can survive the storm on the way. Honor and Jackson fell for one another before and broke when they were too young to understand it. 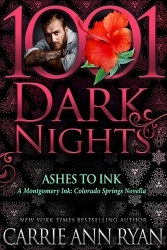 Now Honor is back in town with a new life and a secret Jackson might not be ready for.